we are very glad to present you our spring newsletter including fresh information on our latest ATENA development as well as our planned presentations in some of the world's prestigious events taking place this year. Based on our clients' requests we are striving to develop a new ATENA pre-processing environment planned to be integrated in ATENA in one year. This will make ATENA more user-friendly to all the family of our existing customers. Along with this long-term project, we are bringing some further improvements in corrosion of RC structures, crack visualization, and cyclic loading, too. We have been very active in the field of providing consultancy services throughout last couple of years advising our clients on implementation of best possible solution methods in their existing projects. Furthermore, we are successfully involved with several research projects, with leading research institutions from Germany, Czech Republic and Taiwan. Our goal is gaining new customers this year as well as keeping tight and fruitful relations with the existing ones. That's why we put our emphasis on listening to our clients' needs to stay competitive for the future. - faster and more effective definition and detection of the contacts between the various element types, i.e. contacts "beams to solids" or "shell to solid", etc. 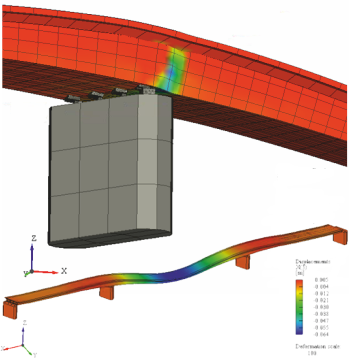 Modeling of pre-stressed concrete bridge takes into account construction process and long term effects. Visualization of chlorides and carbonation propagation activating the corrosion process in the reinforcement. The parameters of the surrounding environment can be specified as a new boundary condition. This typically includes chloride concentration, CO2 content or relative humidity. Based on this information the chloride or carbonation propagation is calculated in time taking into account the possible presence of cracks. When the propagation front reaches reinforcement, the corrosion model is activated, which results in the reduction of reinforcement area. This effect can be included in any reliability or strength assessment in ATENA calculation. - improvements and enhancements in the definition of user-defined color scales. The new version will be available to all users with valid maintenance support. Currently it is possible to download the ATENA 5.6.0h version from our website. For the detailed list of changes, see the corresponding readme file. If you need to check your maintenance status, please do not hesitate to contact us at cervenka@cervenka.cz. Also you can get motivated by the accomplishments of your colleagues with ATENA on our website of example projects, and enjoy selected ATENA nonlinear analysis videos on our YouTube Channel. 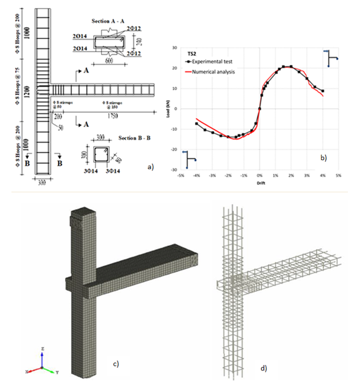 The purpose of this study is to develop a brand new FRP based strengthening technique for wide-beam-column joints in RC framed buildings, taking into account the constraints related to the shape of the subassemblage and the connecting elements present in a real structure (slab, shallow spandrel beam). Before setting up a new expensive experimental program to assess the feasibility of such an intervention, a detailed numerical model by using the finite element software package ATENA 3D was developed to firstly predict the behavior of a control specimen (Fig. 1) tested in a previous experimental program under lateral loading applied to column top. Fig.1: a) Specimen geometry and detailing, b) experimental and numerical load vs. drift curves, c) concrete mesh, d) reinforcement mesh. 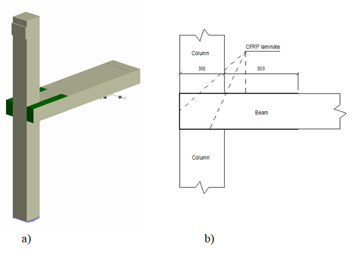 Fig.2: a) 3D view of the CFRP-based U-shaped intervention and b) side view (dimensions in mm). Then, the FRP-based intervention on the selected wide beam-column joint was designed to obtain an intervention arrangement compatible with the geometry and shape of the subassemblage and with the presence of connecting elements. For these reasons, the configuration consisted in the application of two externally bonded unidirectional U-shaped CFRP (FRP based on carbon fibers) fabrics (Fig. 2a). They are glued with epoxy adhesive to the bottom and top faces of the beam as well as to the rear parts (vertical sides near the column) (see Fig. 2a and 2b). 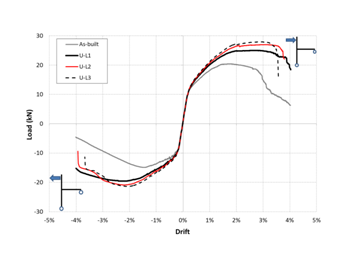 To simulate the FRP-to-concrete bond behaviour, specific bond slip laws were selected from literature and implemented in ATENA, modelling the FRP laminate as discrete bars with bond. 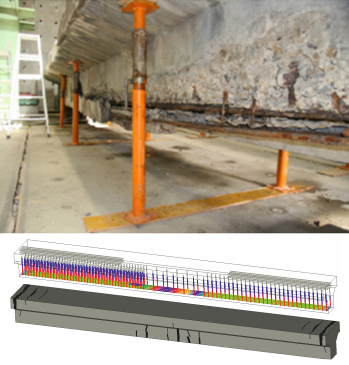 Once the FRP laminates were modeled new nonlinear numerical analyses were carried out to verify the behavior of different strengthening solutions compared to the as-built specimen (Fig. 3). Indeed, three different solutions were investigated having one, two or three FRP laminates’ layers (U-L1, U-L2, U-L2). As can be seen, all the three solutions provide significant strength increments to the specimens, although those with more layers induce a more fragile mechanism as the analysis stops earlier due to concrete crushing in the beam. Indeed, strength increments were up to 35% while ductility gains were up to 50% for the solution with only one FRP layer (U-L1) and lower values were found in case of more FRP layers. So, the strengthening solution is viable after having verified that it does not lead to strong column-weak beam behavior. Fig.3: Comparison of the load-displacement curves in the as-built and CFRP strengthened conditions. 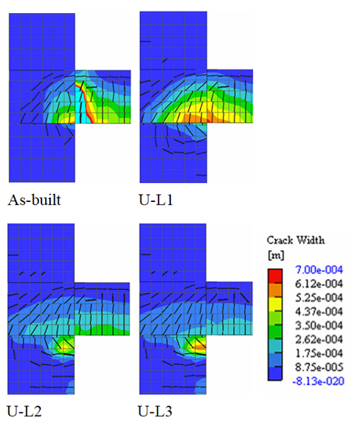 Fig.4: Crack patterns of CFRP and as-built specimens at 4% drift (or at failure). Finally, to check the damage mechanisms of the different solutions the crack patterns were displayed. As can be seen from fig. 4, as the number of FRP layers increases the damage shift towards the column. This because the beam is stronger due to FRP laminates. However, the column rebars do not yield providing a favorable mechanism in terms of capacity design. we are happy to invite you to our ATENA Advanced User Seminar 2018! The seminar will take place in Prague, the Czech Republic on June 20-22, 2018. The content of the seminar is rearranged such that it concentrates on fewer topics, but provide a deeper coverage and more hands-on experience with particular problems. Based on the feedback from our hotline support, we selected several topics, where we expect that ATENA users could benefit most from more indepth explanation or background information. The new ATENA version 5.6 will be used throughout the seminar. The version 5.6 brings several new and interesting features as described in more detail on our website. Theoretical background of ATENA concrete material model, interface elements and material model. Modeling contact problems and construction process in ATENA. It is recommended to register on-line as soon as possible, the number of participants is limited. Detailed program and more information you can find on ATENA seminar website. 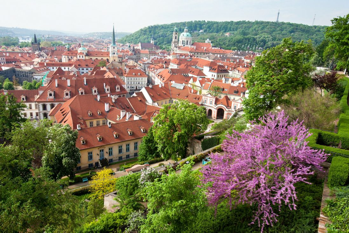 It would be our pleasure to welcome you in Prague at the end of spring this year! 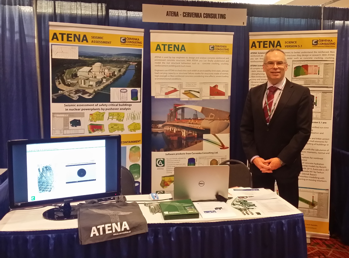 Come and meet Vladimír Červenka and Dobromil Pryl at our exhibition booth 70, you will have an opportunity to discuss with them how ATENA software can help you in your design or research. Jan Červenka will be presenting at Session: 337103 - Recent Advances in Nonlinear Structural Analysis Methods for Performance-Based Earthquake Engineering, April 20, 2018, 1:30-3:00pm, Room: 202D. Title of the presentation is: Application of Nonlinear FE Analysis to Seismic Assessment of Nuclear Power Plant Structures. ATENA software will be presented at booth 115, where you can meet Jan Červenka or Mathew Price and be inspired by the presented ATENA success stories and application examples. Radomír Pukl will present a paper: Towards Nonlinear Reliability Assessment of Concrete Transport Structures. 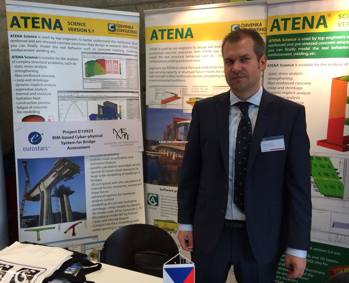 You can also meet Martin Berka at at our booth during conference exhibition where ATENA software will be presented. Radomír Pukl will be presenting a paper titled: Shear Failure of Very Large Concrete Beam: Modelling using Random Fields. 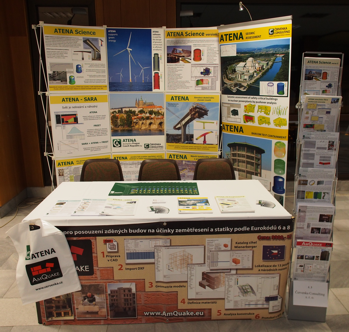 Jan Červenka will present a paper: Advanced Modelling of Reinforced Concrete Structures Using ATENA Interface to GiD. Libor Jendele will present a paper titled: Modeling Alkali-Silica-Reaction in Reinforced Concrete Structures Combining Kinetics and Fracture Mechanics. Radomír Pukl will present a paper: Design of SFRC Precast Tunnel Segments Supported by NLFEA. You will have also opportunity to meet him at our booth during workshop exhibition.